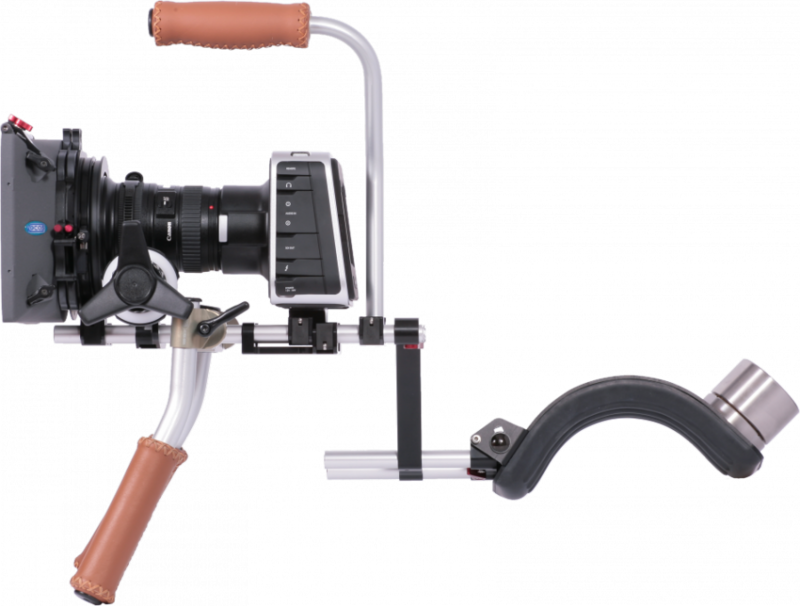 This rig will transform your Blackmagic Cinema camera into a shoulder mounted camera. The shoulder pad with counter weight and the handles with leather grips will really make you enjoy shooting from your shoulder. 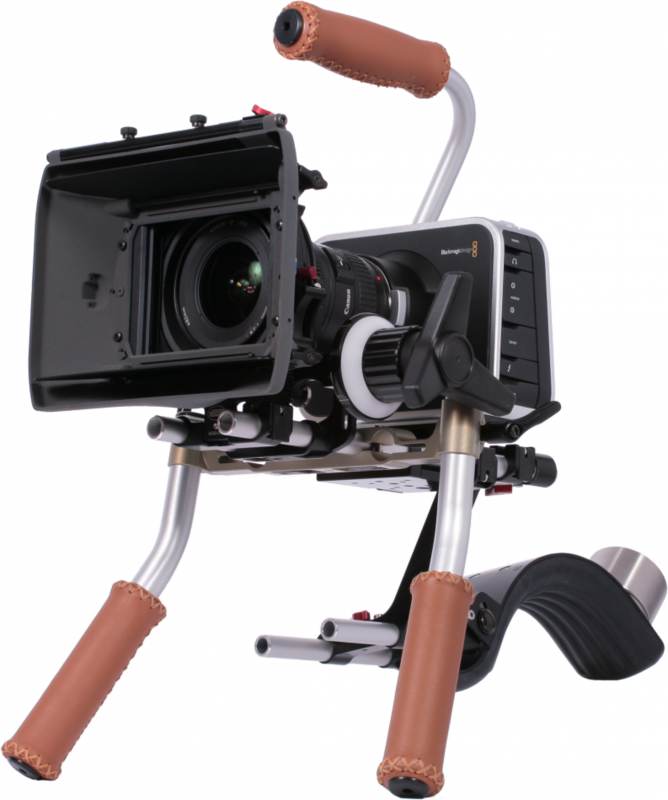 The top handle makes it easy to carry your rig around but also comes in handy when making low shots. 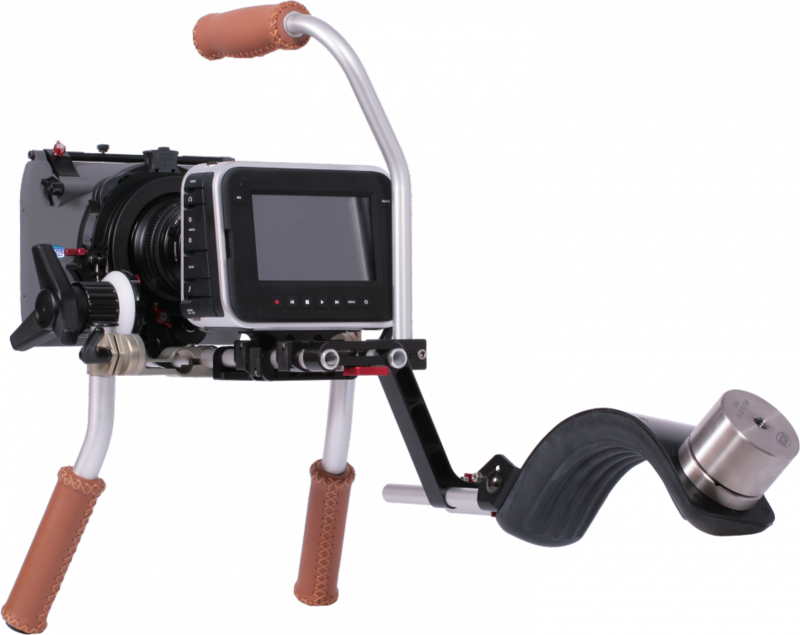 You can combine this rig with our MFC-1 focus controller and other accessories to customize your rig just the way you like it. © 2018 Copyright MBS Sp. z o.o.